After a tough writing week, I feel like I’ve finally hit my stride. By tonight I’ll have between 24 and 25K words written, right on target. I know I can not only hit the 50K word goal by November 30, but I’m confident I have enough plot to finish. Believe me, there have been years when I reached the 20 or 30K word mark and thought, “I’m done. The story is finished. There’s nothing else to write.” But not this year. I have story to spare, which is a great feeling. 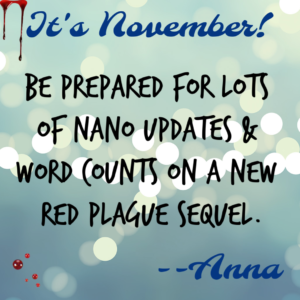 I’m writing a new Red Plague novel this month. It’s a YA zombie paranormal, and I’m loving writing it! I’m so excited to share it with you. Hopefully, it’ll be available for purchase in early 2016. How is your writing journey going this week? This first week of NaNoWriMo was tough for me. I started a new job recently, and I’m still exhausted from that so I didn’t have a lot of time to write. I did force myself to get up every morning at 5 am (boo!) and write for a solid 30 minutes before I had to get ready for work. That way, at least my daily totals weren’t zero. Saturday I had my best day yet. 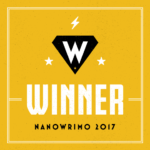 With a lot of downtime I was able to crank out about 4,000 words. I was so happy! …Until I realized even with that burst I’m still behind. 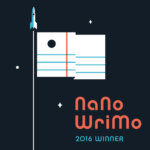 How are your NaNo journeys coming along? That high-pitched squeal you hear is me being super excited about November first rolling around! November is my favorite month of the year because, thanks to the National Novel Writing Month, I get to obsess about writing for thirty straight days. If you’ve ever considered writing a novel of your own, join me this month in all the fun. You’ll be asked to crank out 50,000 words in 30 days, but there are local write-ins all the time where you can meet other creative types in coffee houses and talk writing while sipping lattes. 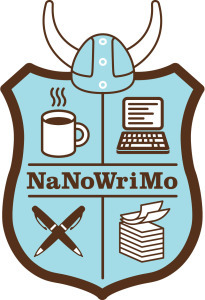 If you register with NaNoWriMo, let me know. We’ll keep each other on the right track. Or, Are You Prepared To Write? My favorite time of the year is upon us. November is National Novel Writing Month, and if you’ve ever had an inkling to write a book, this is your chance. You’ll benefit from tons of support from the online site as well as participants in your community. 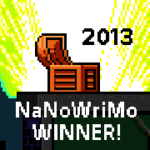 Last year I wrote Panacea (Red Plague Trilogy #3) during NaNoWriMo. This year I’ll be writing the fourth and final installment of my Dark Caster Series. 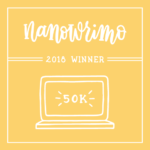 Though there were lots of tough days when I questioned if I would ever reach 50,000 words before the Nov. 30 deadline, I pulled through and finished my novel right before Thanksgiving. I am so in love with this story, though, that it really wasn’t a chore to escape into Ben and Maya’s world for a month. I’ll spend December editing and re-writing. Hopefully, I’ll soon have good news about the publication of Elixir the first book in the Red Plague trilogy. I’m turning off the TV, playing a movie for the little princess, and putting on my headphones. In two hours I plan on being done with the last 3000 words (or so). I’m ready to put this book to bed.